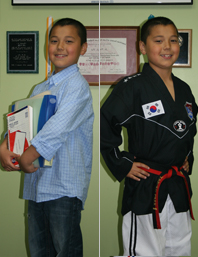 The Tae Ryong Park Taekwondo and Hapkido Academy was established in 1993 by a father and son team: Grand Master Deuk H. Park and Master Jae H. Park. 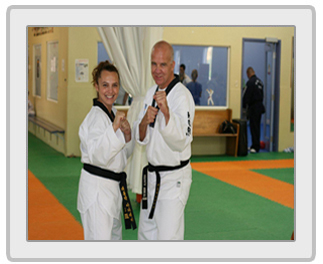 Together with close to 100 years of experience in the martial arts they have created one of the leading Taekwondo and Hapkido schools in the world. Since its start, the Academy has been a very important part of the community helping members to keep fit and healthy as they train in the physical aspects of the martial arts as well as to help students to develop greater Confidence, Respect and Discipline. 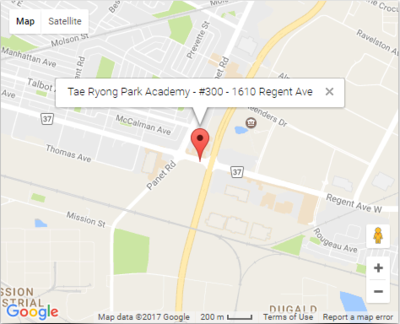 The Tae Ryong Park Academy runs a variety of different martial arts programs for children as young as three years of age, for teens and for adults of all ages. 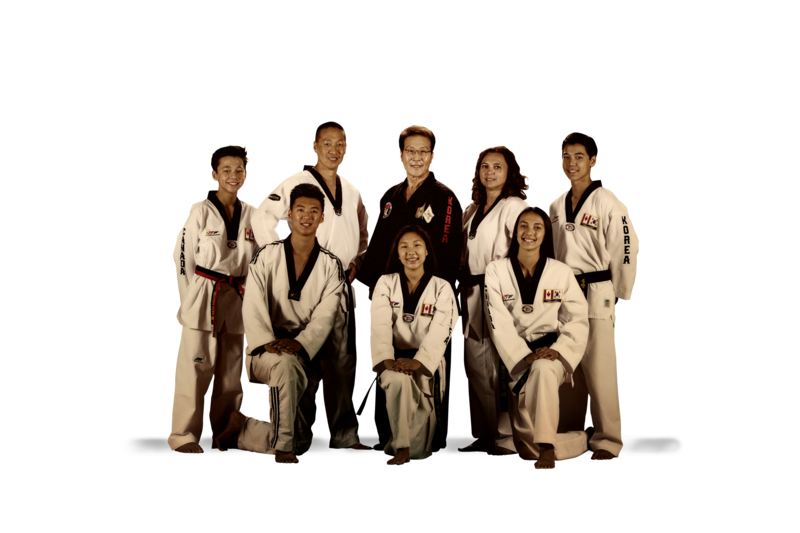 Aside from its Taekwondo and Hapkido classes, the Academy offers early morning and evening Boot Camps, Martial Arts Birthday Parties, Summer Camp and an awesome After School Martial Arts Program. 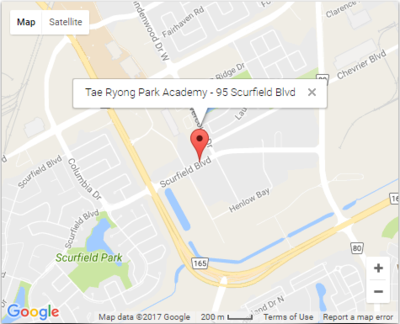 The Tae Ryong Park Taekwondo and Hapkido Academy has had much success in local, national and international competitions. 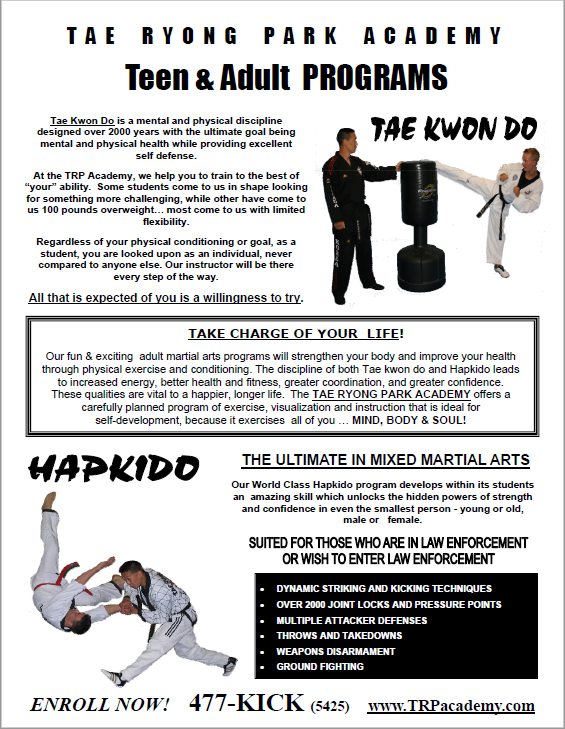 The TRP Academy has been featured in most martial arts magazines including Black Belt Magazine, Tae Kwon Do Times, Martial Arts Trainer and Inside Kung Fu. The TRP Academy has also been featured in a martial arts documentary hosted by Arnold Schwarzenegger and Chuck Norris. We have children as young as three and adults of all ages. All instructors of the TRP Academy are certified Black Belts, who have gone through the program themselves and are continually working to improve their physical skills as well as their skills as an instructor. #300 - 1610 Regent Ave. 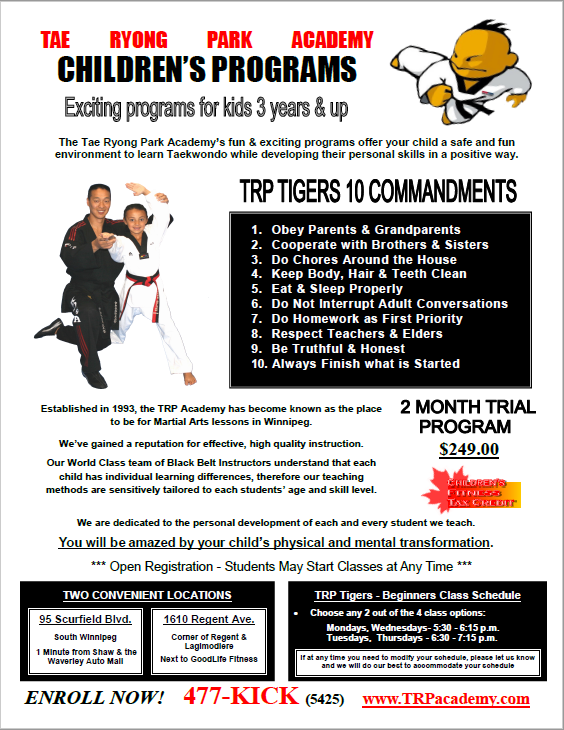 The TRP Academys Little Tigers Taekwondo program is a fun and exciting for children aged three and up. 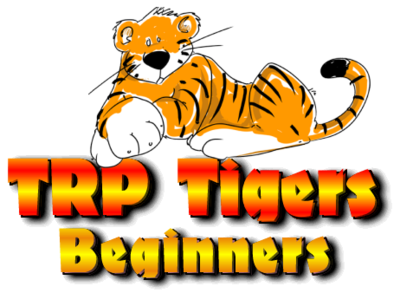 We offer two levels for the Little Tigers Program: Beginners and Intermediate. Most children joining our Little Tigers Programs have little to no martial arts experience and have fun learning the basics and fundamentals of Taekwondo. 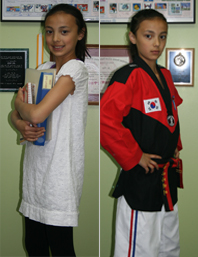 Your child will be introduced to Taekwondo; a Korean martial art consisting of kicking, punching and blocking techniques that are safe and fun for children. Our skilled black belt instructors run exciting, high energy classes that will keep your child active captivated and having fun while at the same time keeping them focused on what they are learning. Learning how to become better listeners, showing greater respect, discipline and improving confidence are all taught on a daily basis as part of our Little Tigers program. Fun classes, positive encouragement and a child friendly learning environment will have your child looking forward to every single class. 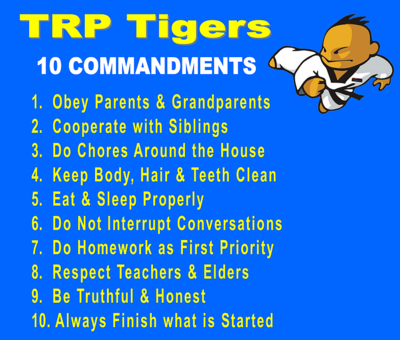 The TRP Academys Junior Tigers Program is perfectly suited to older children with no previous martial arts experience. During classes your child will learn the Korean martial art of Taekwondo; a high energy mix of kicking, striking and blocking. The Junior Tigers class is designed to be a dynamic and fun learning experience for children and is a great way to stay active and healthy. Looking for an extra challenge? 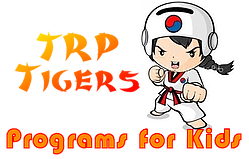 The TRP Academys Junior Hapkido program is a fun and unique alternative to our Taekwondo programs for children and teens. It is an all-around mixed martial arts program which is great for fitness & self defence. 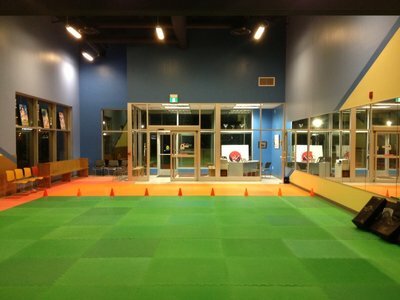 Our Junior Hapkido Program has been modified from our Adult Hapkido program to meet the different needs of children and has been designed to make it very fun and dynamic for children. 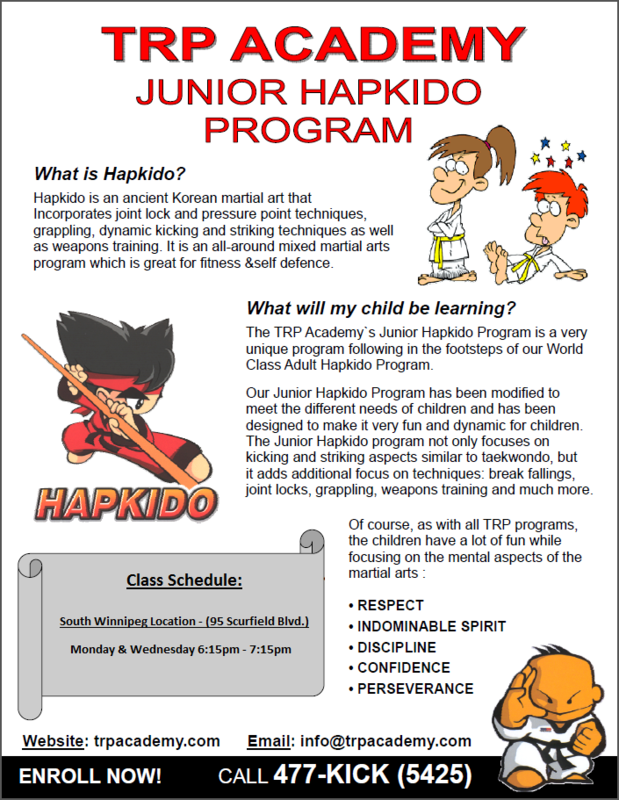 The Junior Hapkido program not only focuses on kicking and striking aspects similar to Taekwondo, but it adds additional focus on techniques such as break falling, joint locks, grappling, weapons training and much more. The TRP Academys teen program is a fun filled, energetic class that is perfect for teens looking to stay physically fit and who want to learn how to protect themselves. Dynamic kicking and striking techniques, self defence movements and weapons training are just a few of the many skills our teen Taekwondo class covers. Practicing the martial art of Taekwondo will lead to improved strength, balance and flexibility. The young men and women in our teen program learn how to protect themselves both physically but also mentally against common teen issues like bullying and peer pressure. The teen program will help young adults increase their self confidence and improve their focus and attitude at school and at home. Whether you have previous martial arts experience or none at all, the TRP Academys Adult Taekwondo Program is the perfect mix of fun and exercise and is suited to men and women of all ages. Taekwondo; an ancient Korean martial art is a mental and physical discipline consisting of dynamic kicking and striking techniques. 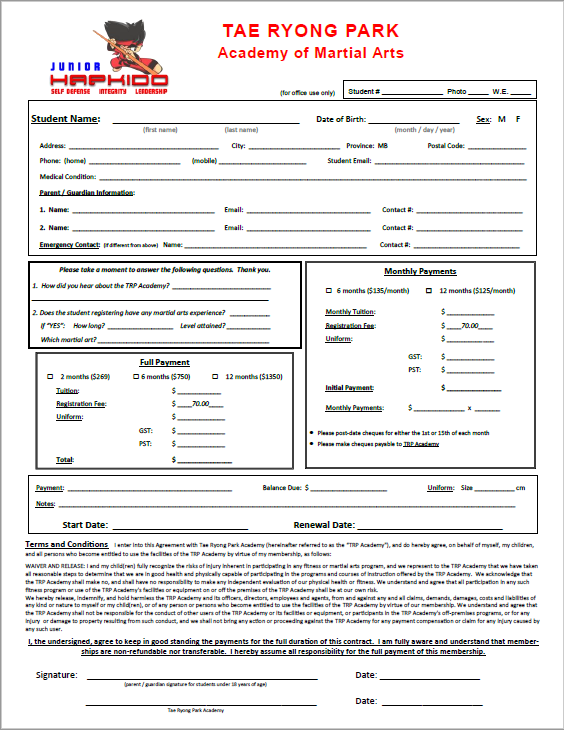 Our Taekwondo program will strengthen your body and improve your health through physical exercise and conditioning. The discipline of Taekwondo leads to increased energy, greater coordination, flexibility and greater confidence. 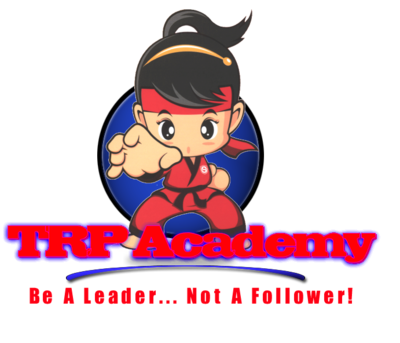 The TRP Academy offers a carefully planned martial arts program that is ideal for self-development, because it exercises all of your MIND, BODY & SOUL! The TRP Academys world class Hapkido program is the ultimate in mixed martial arts. Hapkido is a Korean martial art that consists of kicking and striking, joint locks, pressure points, ground fighting, throws, takedowns and weapons training. Like all of our adult programs, Hapkido is an awesome way to stay in shape and will lead to overall better health. Our Hapkido program is ideal for adults who want to achieve the know-how to protect oneself and is perfectly suited for those who are in law enforcement of wish to enter law enforcement. 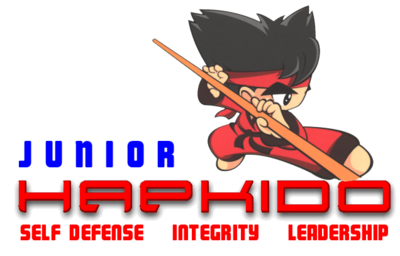 No previous martial arts experience required; Hapkido develops and unlocks amazing skills that even the smallest person young or old, male or female never knew they were capable of. The TRP academy offers fun and convenient boot camps Monday, Wednesday and Friday mornings so you can start your day off right. 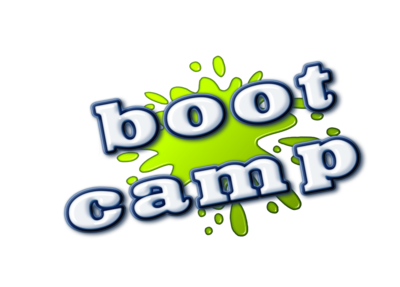 Dont stress about working out later, our boot camp will give you the workout you need to get you energized for your day. This is not your average boot camp! With a fun fast paced mix of cardiovascular and strength training combined with martial arts you will get the ultimate workout! The TRP Academys boot camps will help you lose weight, tone muscles, increase your cardiovascular conditioning, increase flexibility and energy but most importantly you will have fun doing it! Our boot camps are for everyone! Regardless of your level of fitness our boot camp instructors modify your exercise routine that will best suit your needs. We will be with you every step of the way and will train you to the best of your ability and help you reach your personal goals. "A Constructive Alternative to Traditional Daycare"
► QUALIFIES FOR CHILD CARE DEDUCTION! 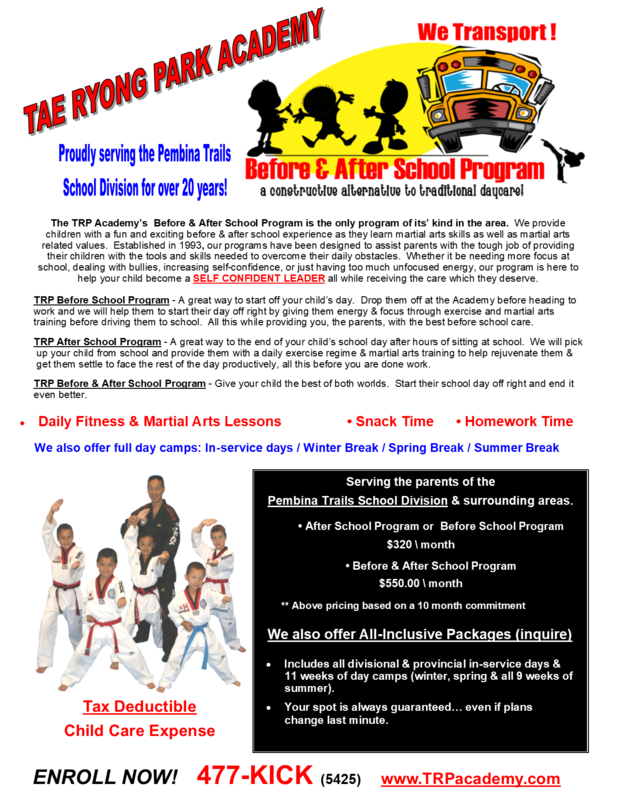 The TRP Academy’s Before & After School Program is the only program of its’ kind in the area. We provide children with a fun and exciting before & after school experience as they learn martial arts skills as well as martial arts related values. Established in 1993, our programs have been designed to assist parents with the tough job of providing their children with the tools and skills needed to overcome their daily obstacles. Whether it be needing more focus at school, dealing with bullies, increasing self-confidence, or just having too much unfocused energy, our program is here to help your child become a SELF CONFIDENT LEADER all while receiving the care which they deserve. 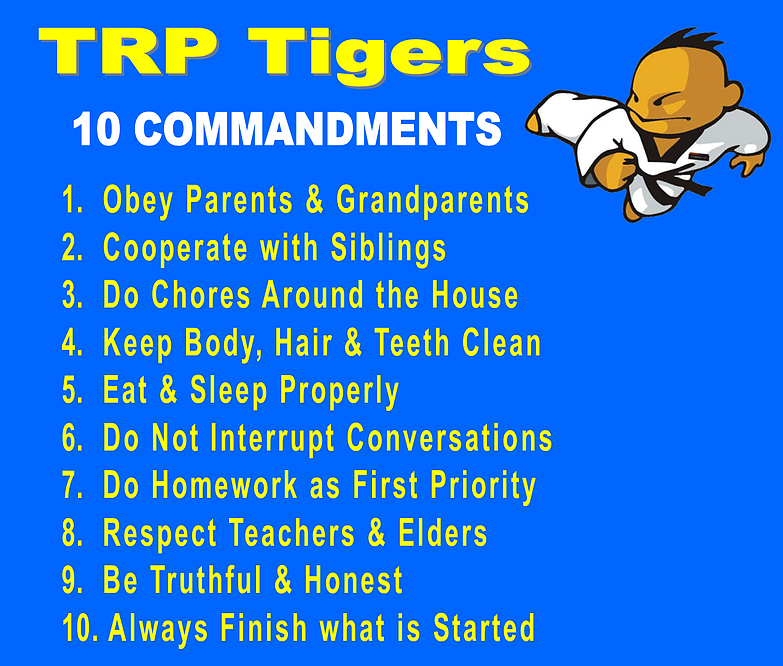 TRP Before School Program - A great way to start off your child’s day. Drop them off at the Academy before heading to work and we will help them to start their day off right by giving them energy & focus through exercise and martial arts training before driving them to school. All this while providing you, the parents, with the best before school care. 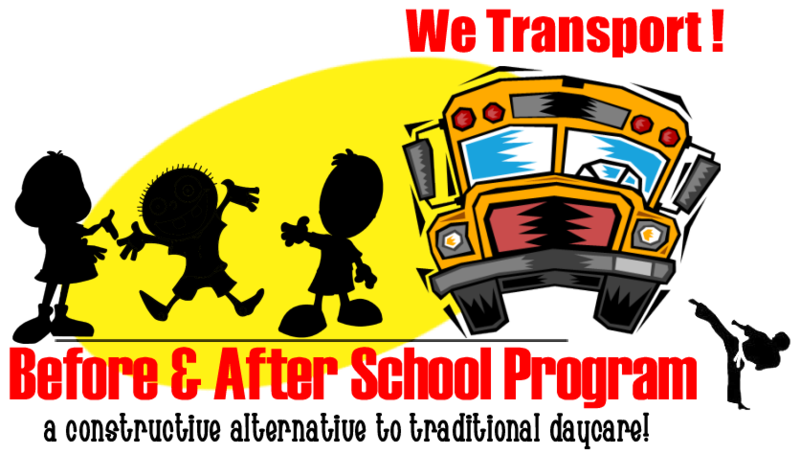 TRP After School Program - A great way to the end of your child’s school day after hours of sitting at school. We will pick up your child from school and provide them with a daily exercise regime & martial arts training to help rejuvenate them & get them settle to face the rest of the day productively, all this before you are done work. TRP Before & After School Program - Give your child the best of both worlds. Start their school day off right and end it even better. We offer the best Birthday Parties in town! Tired of the same old birthday parties? 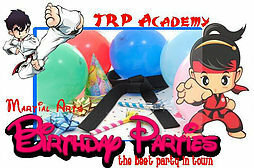 The TRP academy offers fun and exciting parties for children of all ages. Parents; sit back and relax. Let our professional staff organize and entertain your child and their guests so you can enjoy your childs party stress free. ► One and a half or two hour use of our facility. ► An hour long Taekwondo class with our world class black belt instructors. ► Loaner uniforms provided for all of the guests to wear. ► Separate party area provided with tables and chairs. Have your childs next birthday party with us! Guaranteed to be a birthday party both you and your child will never forget! 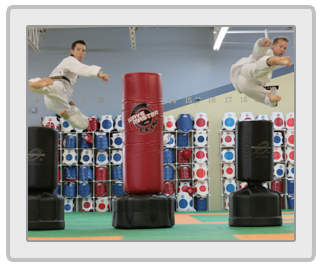 No martial arts experience needed, great way to introduce your child into the martial arts. The Tae Ryong Park Academy has been running its awesome children’s camps over 20 years! TRP camps are for everyone. Whether you have martial arts experience or not. Our camps are designed to promote health and fitness and are a great way to introduce children to martial arts. ►Martial arts training twice daily (uniform provided). ►Weapons training and board breaking. ►Great way to prepare for upcoming belt test, tournament etc. With convenient drop off and pick up times the TRP Academy makes it a breeze for parents who are looking for their children to spend their holidays productively. 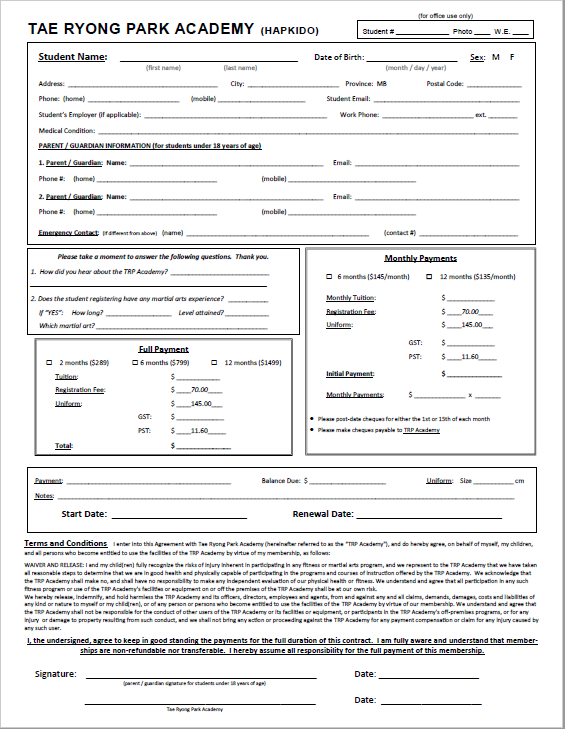 Drop off times as early as 7:00 am- Pick up time by 5:30 pm. We would love to hear from you with any questions you may have or to set up your FREE V.I.P Visit. A V.I.P. Visit provides to prospective students and their families, an opportunity to meet with a TRP Academy Black Belt Instructor to receive additional information and allow us to answer all of your questions. 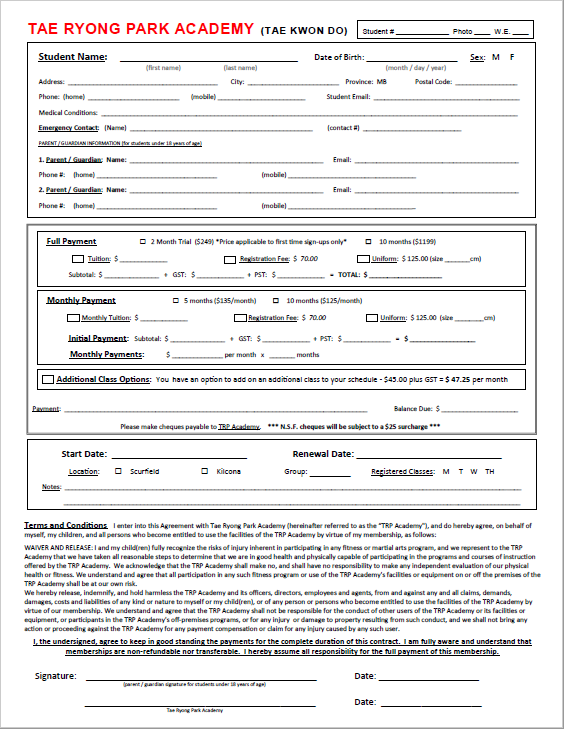 This will allow you to make an educated decision on which program is right for you and your family. - MOST IMPORTANT OF ALL An opportunity for you and/or your child to have a FREE 10-15 minute session with a certified Black Belt Instructor having fun learning some of the basic fundamentals of Taekwondo or Hapkido. We are committed to the personal development of each and every student. 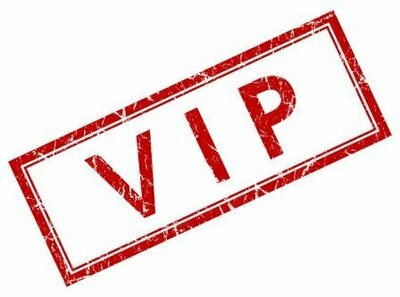 What is a V.I.P. Visit? What does a V.I.P. Visit entail? • Unit #3 - 1610 Regent Ave.